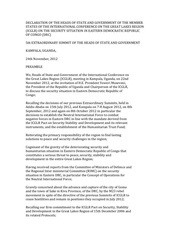 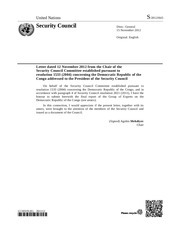 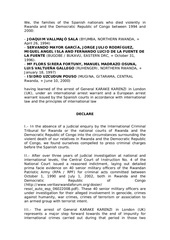 English Letter dated 12 November 2012 from the Chair of the Security Council Committee established pursuant to resolution 1533 (2004) concerning the Democratic Republic of the Congo addressed to the President of the Security Council On behalf of the Security Council Committee established pursuant to resolution 1533 (2004) concerning the Democratic Republic of the Congo, and in accordance with paragraph 4 of Security Council resolution 2021 (2011), I have the honour to submit herewith the final report of the Group of Experts on the Democratic Republic of the Congo (see annex). 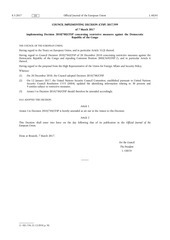 Ms Anne BRASSEUR, Luxembourg, Alliance of Liberals and Democrats for Europe Summary In January 2011, two weeks after the “Jasmine Revolution” in Tunisia launched the wave of democratic transformations in the Arab world, the Parliamentary Assembly adopted Resolution 1791 (2011) on the situation in Tunisia. 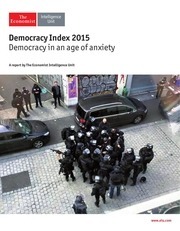 An increased sense of personal and societal anxiety and insecurity in the face of diverse perceived risks and threats—economic, political, social and security—is undermining democracy, which depends on a steadfast commitment to upholding enlightenment values (liberty, equality, fraternity, reason, tolerance and free expression) and fostering democratic institutions and a democratic political culture. 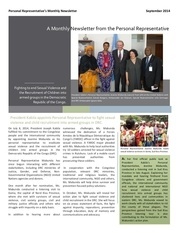 Newsletter September 2015 Monthly Newsletter September 2015 A Monthly Newsletter of the Office of the Personal Representative Fight to end sexual violence and recruitment of children into armed groups in the Democratic Republic of Congo As part of the fight against impunity and to arrange standby judicial, legal experts and judges of civil and military justice have been sent to all provinces of the Democratic Republic of Congo to collect all cases relating to sexual violence. 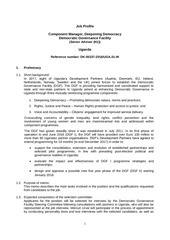 déclaration Kampala DECLARATION	OF	THE	HEADS	OF	STATE	AND	GOVERNMENT	OF	THE	MEMBER	STATES	OF	THE	INTERNATIONAL	CONFERENCE	ON	THE	GREAT	LAKES	REGION	(ICGLR)	ON	THE	SECURITY	SITUATION	IN	EASTERN	DEMOCRATIC	REPUBLIC	OF	CONGO	(DRC)	5th	EXTRAORDINARY	SUMMIT	OF	THE	HEADS	OF	STATE	AND	GOVERNMENT	KAMPALA,	UGANDA,	24th	November,	2012	PREAMBLE	We,	Heads	of	State	and	Government	of	the	International	Conference	on	the	Great	Lakes	Region	(ICGLR),	meeting	in	Kampala,	Uganda,	on	22nd	November	2012,	at	the	invitation	of	H.E. 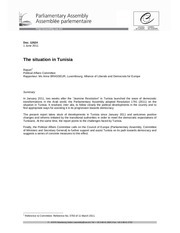 tunisia reckoning BEIJING BEIRUT BRUSSELS MOSCOW WA S H I N G T O N THE RECKONING Tunisia’s Perilous Path to Democratic Stability Anouar Boukhars CarnegieEndowment.org APRIL 2015 THE RECKONING Tunisia’s Perilous Path to Democratic Stability Anouar Boukhars © 2015 Carnegie Endowment for International Peace. 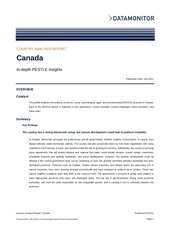 Summary Key findings The country has a strong democratic setup, but uneven development could lead to political instability In Canada, democratic principles are predominant and all governments, whether coalition, Conservative, or Liberal, have always followed stable democratic policies. 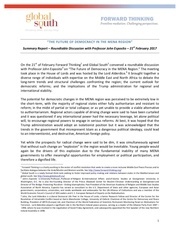 REPORT2 Annual Report 2012 1 TO PROVIDE THE BROADEST RANGE OF SUPPORT TO THE MIDDLE EAST AND NORTH AFRICA, THE FOUNDATION WILL EXERCISE THE WIDEST POSSIBLE FLEXIBILITY IN ITS ACTIVITIES WITHIN THE REGION, SEEKING TO DRAW ON REFORMERS IN THE REGION AND THEIR IDEAS, AND TO INCLUDE THEM IN INNOVATIVE APPROACHES THAT NURTURE GRASSROOTS CIVIL SOCIETY ORGANIZATIONS AND THEIR LEADERS, AND RECOGNIZE THE CREATIVITY OF GOVERNMENTS AS THEY ENCOURAGE SUCH ORGANIZATIONS TO JOIN THEM IN STRENGTHENING DEMOCRATIC PROCESSES AND INSTITUTIONS. 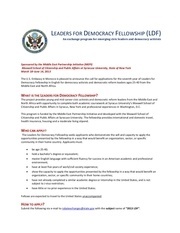 Embassy in Morocco is pleased to announce the call for applications for the seventh year of Leaders for Democracy Fellowship in English for democracy activists and democratic reform leaders ages 25-40 from the Middle East and North Africa. 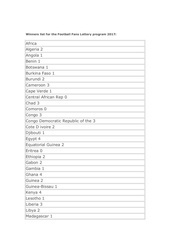 Do not abandon the railways to the eager market forces and profit orientation, but give priority to democratic accountability and to the people! 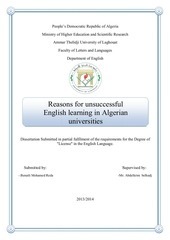 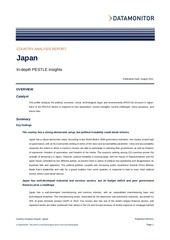 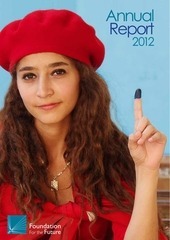 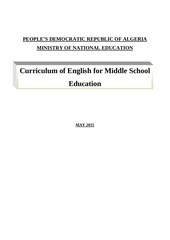 Anglais The People’s Democratic Republic of Algeria Ministry of National Education NEW PROSPECTS TEACHER’S BOOK SECONDARY EDUCATION, YEAR THREE S.A.
Summary Key findings The country has a strong democratic setup, but political instability could derail reforms Japan has a robust democratic setup. 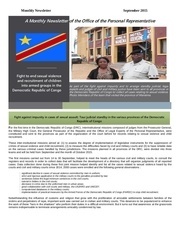 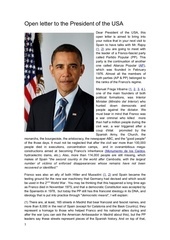 Newsletter September 2014Eng 1 2 Personal	Representative’s	Monthly	Newsletter	September	2014	A	Monthly	Newsletter	from	the	Personal	Representative	Fighting	to	end	Sexual	Violence	and	the	Recruitment	of	Children	into	armed	groups	in	the	Democratic	Republic	of	the	Congo. 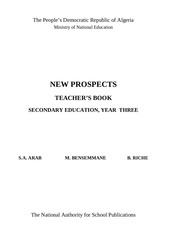 3as autre anglais livre prof The People’s Democratic Republic of Algeria Ministry of National Education NEW PROSPECTS TEACHER’S BOOK SECONDARY EDUCATION, YEAR THREE S.A.